Located in Argentinian Patagonia, in northern sector of Los Glaciares National Park, the mountain town of El Chalten was founded in the early 1980s as an outpost of Argentina, to anticipate Chile’s claim for that area. Although it started as a frontier town, El Chalten soon became the “trekking capital of the world.” Its great location next to two of the most impressive peaks in Patagonia – Mt. 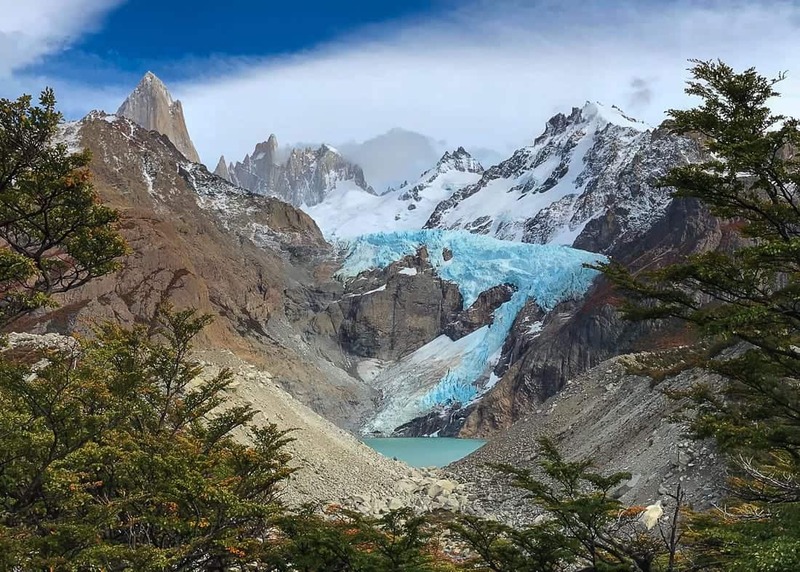 Fitz Roy and Cerro Torre– attracts mountaineers from all over the world. Since hiking is one of the best things to do in El Chalten, the town mainly catered to trekkers and backpackers so far. However, as more and more main stream tourist are flooding Argentinian Patagonia every year, El Chalten began expanding madly. 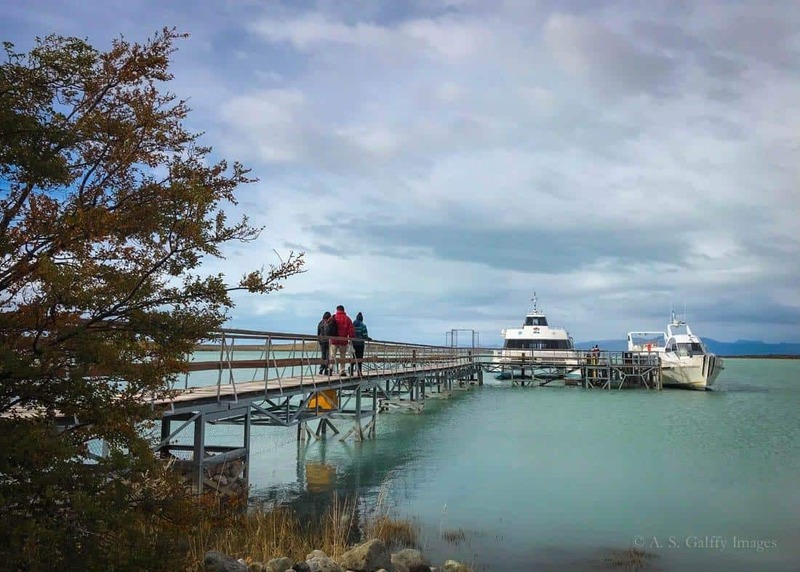 Most travelers arrive to El Chaltén from El Calafate, which has daily flights from Ushuaia and Buenos Aires. El Chalten is 215 km away from El Calafate, so you’ll need to take the bus or rent a car. The road is completely paved and poses no difficulties. You can also arrive to El Chalten from Torres del Paine National Park in Chile, via RN40. There are busses that travel on this route, or you can rent a car. 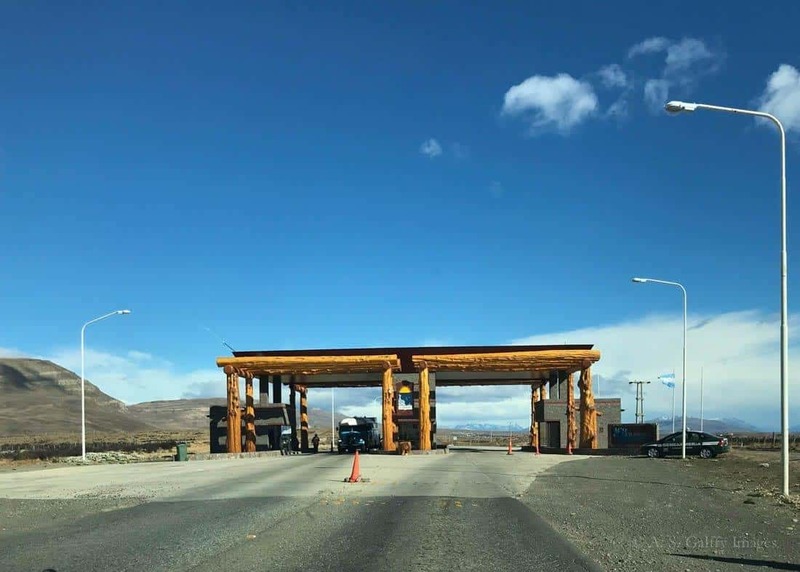 The road from Torres del Paine is 403 km long and it takes about 5.5 hours, plus the time that you spend for border crossing. This route is obviously longer and it only makes sense for those who plan to visit Chilean Patagonia as well. Despite its remoteness, El Chaltén has surprisingly good dining options. From small eateries with casual dining areas to very sophisticated and expensive restaurants with an eclectic global menu, you can find almost everything here. Just be advised that no credit cards are being accepted at the restaurants in El Chaltén, so be prepared to carry cash with you. The good news is that they all accept foreign denominations, like US Dollars, or Euros. There are also quite a lot of options for lodging as well. You can choose from very inexpensive places like Poincenot, to small bed-and-breakfasts like Hosteria Sendero. 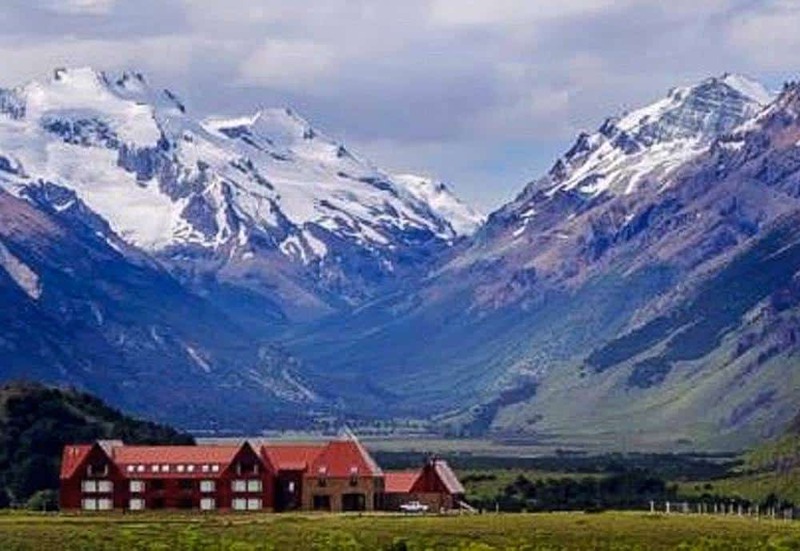 Or you can choose bigger hotels like Chaltén Suites Hotel, or Destino Sur. For those interested in staying closer to the hiking trails there are some good options too, like Hosteria El Pilar, a 3-star guesthouse located right at the trail head of Laguna de Los Tres. 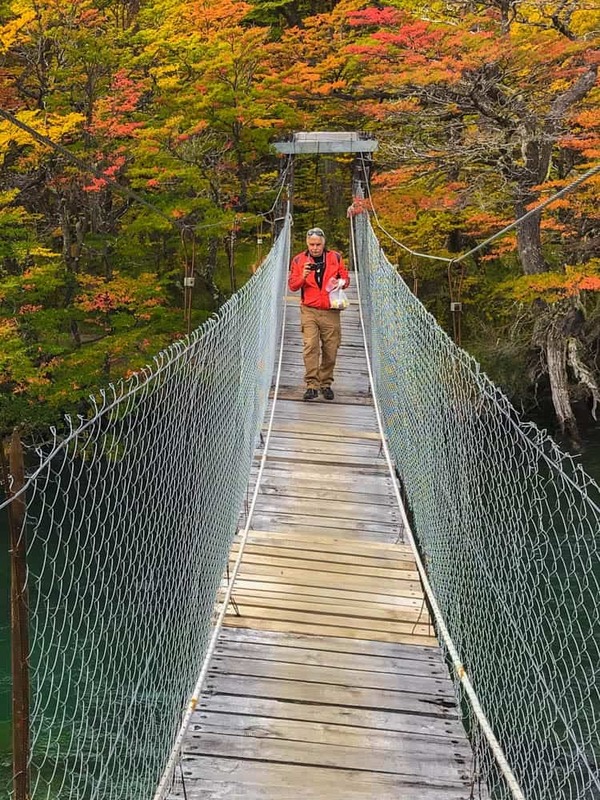 There are quite a few things to do in El Chaltén, most of them related to outdoor activities. You can choose from hiking, rafting, and horse back riding to glacier visiting and lake cruising. Hiking is without a doubt the main attraction and one of the best things to do in El Chalten. There are several world famous treks that start in in town. Some of these hikes are quite easy and can be attempted even by families with small children. Others are longer and more difficult and are great for more seasoned hikers. 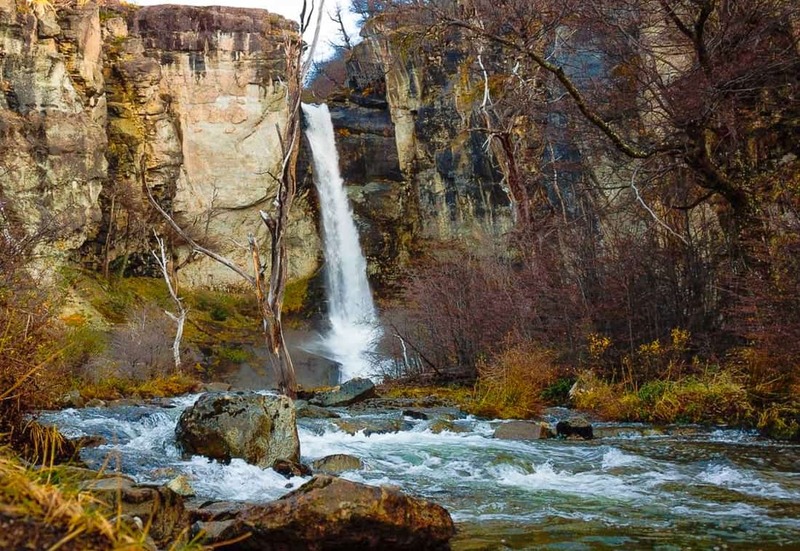 One of the easiest hikes in El Chalten is Salto El Chorrillo, a beautiful waterfall located just a short walk from the town center. The hike that only takes a little over an hour (round trip) and is a nice place place to photograph or for a picnic. Because it’s proximity to town, Salto El Chorrillo is almost always crowded. Another beautiful and easy hike from El Chalten is the Miradores Los Condores and Las Aguilar. This hike is also a short walk from the town and it’s a great place to enjoy incredible views of El Chalten and the mountains around it. It’s a nice trail if you are not up for a more difficult hike. If you are looking for longer but moderate hikes, there are quite a few options. One is to Mirador Piedras Blancas which offers a fantastic view of the Piedras Blancas Glacier across the valley. Or you can try the hike to Laguna Capri from where you can enjoy great views of the the Fitz Roy and the surrounding peaks. The most popular hike from El Chalten is definitely the Fitz Roy trek. Hiking to Laguna de Los Tres and the base of Mt. 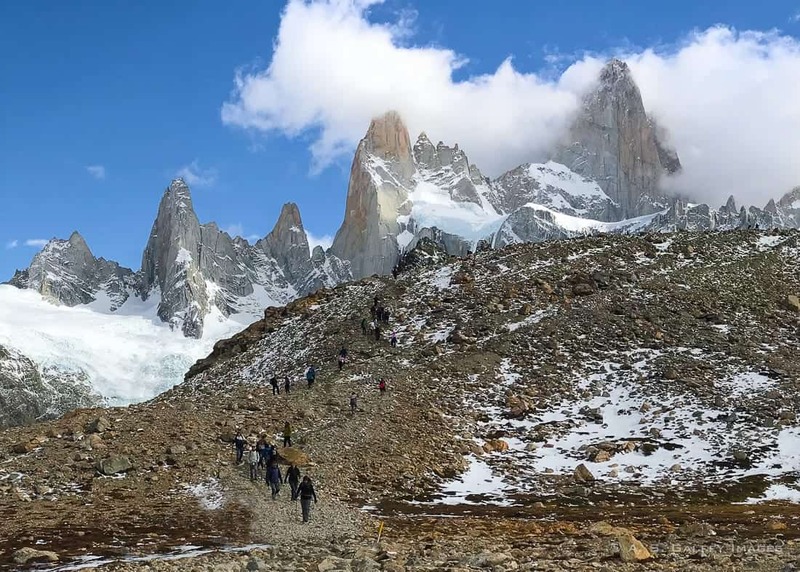 Fitz Roy is the very reason hikers and backpackers from all over the world flock to El Chalten. The hike can be done in a day if the weather is good. Some trekkers choose to split it in two days and spend the night along the route, as the last mile to the top is quite steep and difficult to do. If you love the outdoors but hiking is not for you, don’t worry. There are plenty of other things to do in El Chalten. Just a few kilometers south of town lies the beautiful Lago Viedma. 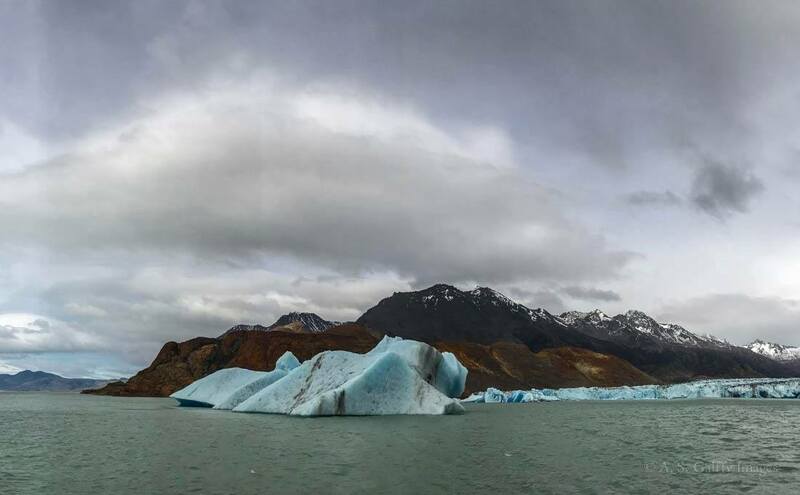 Named after the Spanish explorer Antonio de Viedma, who in 1783 reached its shores, this blue glacial lake is fed primarily by the Viedma Glacier at its western end. This ride will take you across Lake Viedma, passing by Mount Huemul before approaching the Viedma Glacier. 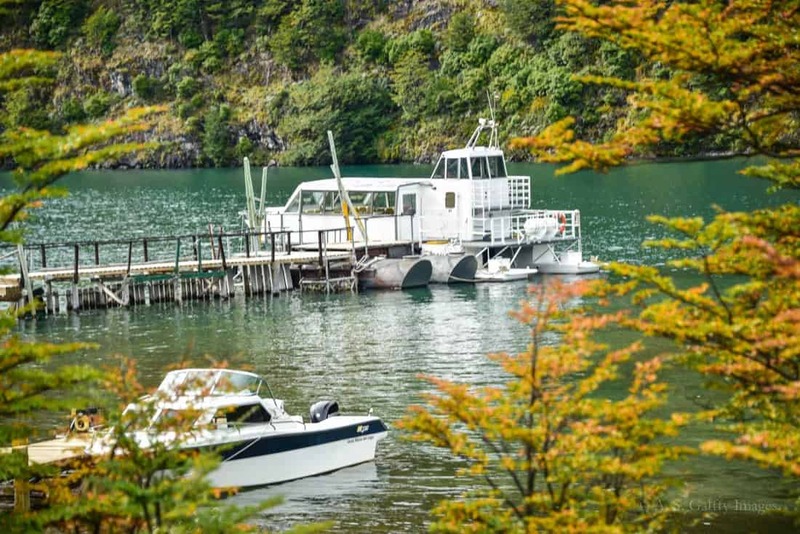 The boats leave from the picturesque Bahía Túnel harbor, located in a natural protected bay, a few hundred meters away from the delta formed by the Túnel River. One of the best things to do in El Chalten (besides hiking) is visiting the beautiful Lago del Desierto. This is one of the less visited but most beautiful lakes in Argentinian Patagonia. The road to Lago del Desierto goes through an amazingly scenic area, following Rio de las Vueltas, and passing by spectacular waterfalls, pristine meadows and dense Lenga forests. The Fitz Roy peaks are in sight all along the way. Despite its name (that suggests a desert area) there is a lot of vegetation around Lago del Desierto. As far as the eye can see, there are acres and acres of beautiful forests. In fall, when the green turns to various shades of reds, orange and yellows, this area becomes a photographer’s paradise! Besides enjoying the scenery, you can also take a boat out onto the blue-green waters of the lake. Catamarans leave from the pier and journey across the lake, making trips that last about 45 minutes. I am not a beer drinker, but if I were to judge by my husband’s comments, some of the best artisanal beers he ever tried can be found in El Chalten’s bars and microbreweries. As it appears, this high quality beer is produced using only the best ingredients and Andean water. The beer is not filtered so the flavor is quite intense. While most of Argentina is famous for its beef, Argentinian Patagonia is famous for its lamb. 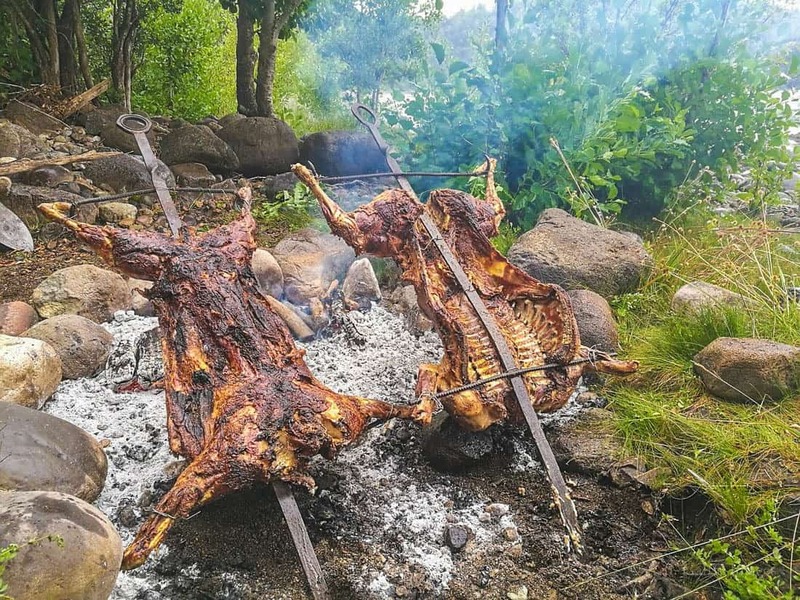 It may be difficult to find lamb on the menu in other parts of the country, but in El Chalten’s restaurants lamb is a staple. It is prepared in a traditional way, roasted over an open fire. When it’s served the lamb is crispy on the outside and soft and succulent on the inside. The bones almost fall of by themselves as soon as you touch it. If you liked this post and want to see Patagonia, please check out my other posts about visiting Torres del Paine National Park in Chile. I've only just touched the Argentine border but your post is making me want to get back there ASAP! 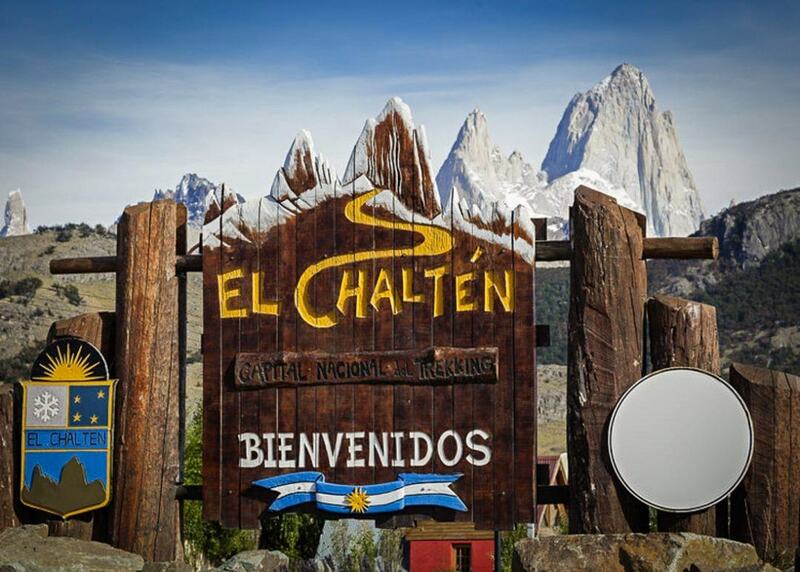 I didn't realize the hiking capital of the world existed in El Chalten. The hubs and I loveeee hiking so this seems like an amazing guide to follow whenever we go. Love the ease of navigating your post and other ones on your site! That is a part of the world I knew nothing about but it's absolutely gorgeous. Love all the varieties of activities and I'm so impressed by your hiking skills. The colors of the glaciers and that foliage are like magnets. Thanks for enlightening me about this part of the world. Patagonia is great visiting even if you are not a hiker, Elaine. Hope you'll get to see it someday. This summer we all planning to go there for holiday, your post is quite helpful to guide us clearly. and it seems you enjoyed your trip a lot. Thanks for sharing good travel experience. This is one exceptional town, Anda! El Chalten sounds like a great hiking destination and I guess it deserves a place on my bucket list. When would it be the best time of the year to explore El Chalten? El Chanten is indeed worth visiting, Lydia. As for the best time of the year, except for winter when it is closed down, El Chalten is beautiful no matter when you go. Those views are incredible. It's great to hear there are other options besides hiking but that there are also easier and shorter hiking trails. How neat it would be so that lamb cooking like that. My husband is a big fan of the outdoors, meat, lamb and beer. So, these are great incentives for a trip there. We'd love to visit someday soon. Wow, how gorgeous! I've always wanted to go to Argentina. In fact, I almost moved there a couple years ago. Hopefully I can make it soon, these hikes look incredible! All your photos of this area are stunning! It makes me want to visit right now! I am so excited about going to Patagonia, I hope to make it there next year! I've heard amazing things about the whole of Patagonia, and El Chaltén. I'm surprised there are so many good places to eat here, but very pleased - I'd love to try the lamb! And how amazing is the view from Mirador Piedras Blancas??! The town sounds like a good staging area for all the hikes and treks. I like the blue ice of the glaciers in the photos.